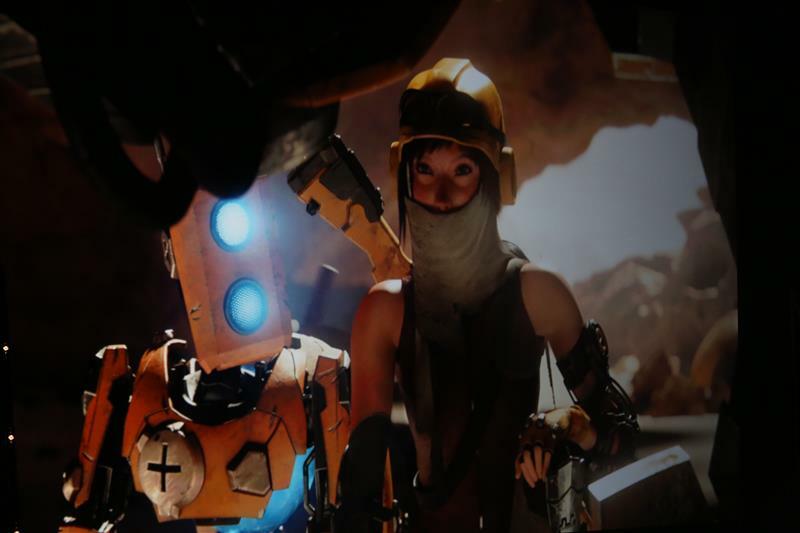 Very Borderlands-like look, but this all a pre-rendered cut scene. 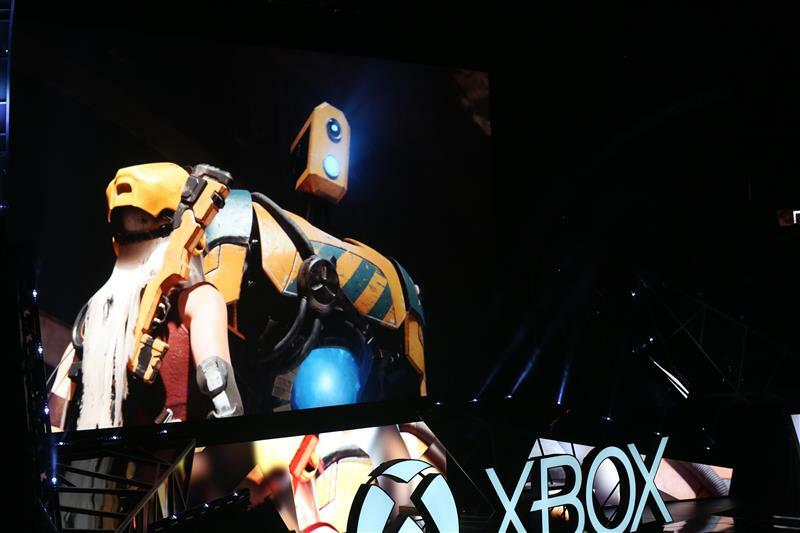 Robo-dog has already won me over. It's from the minds behind the game Metroid Prime. 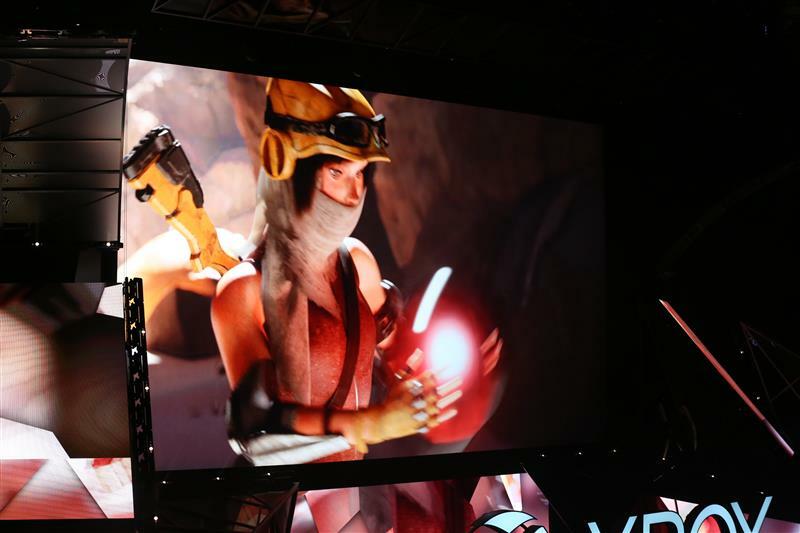 It's interesting that even in the era of the Xbox One, no one is brave enough to lead their new game presentations with just gameplay of in-game footage. It's coming out in Spring 2016, whatever it is. 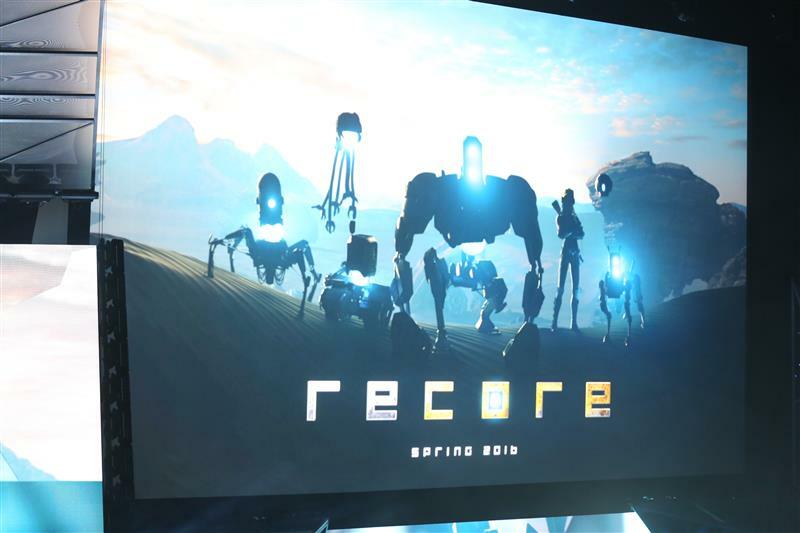 Again, called Recore. 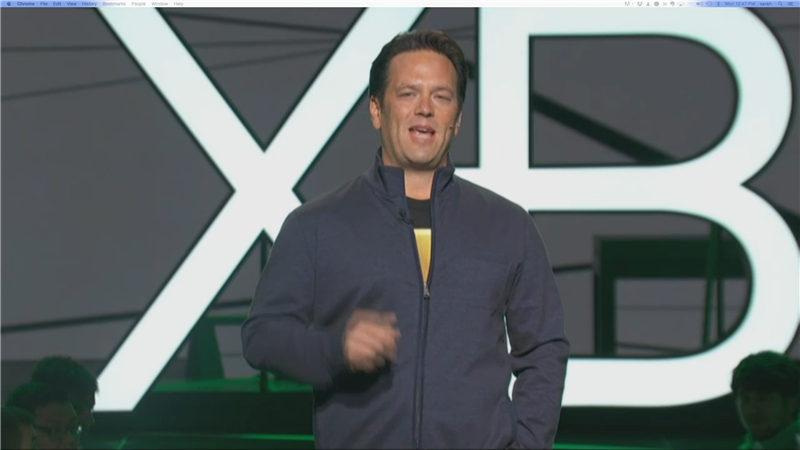 Now Phil Spencer, head of Xbox. 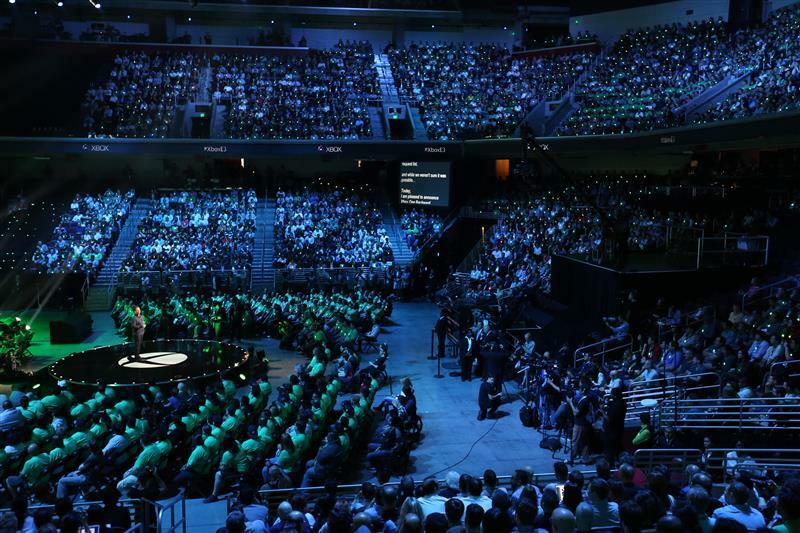 "Our mission is simple: to put you the gamers at the center of everything we do," Spencer says. "Today, you will see how we're continuing to invest and innovate for gamers across our platform, our service and of course our games." 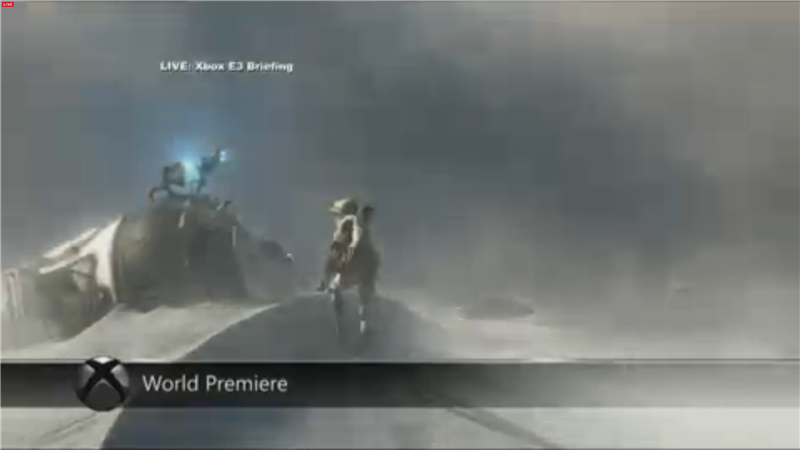 Are they going to talk about the new hardware config? 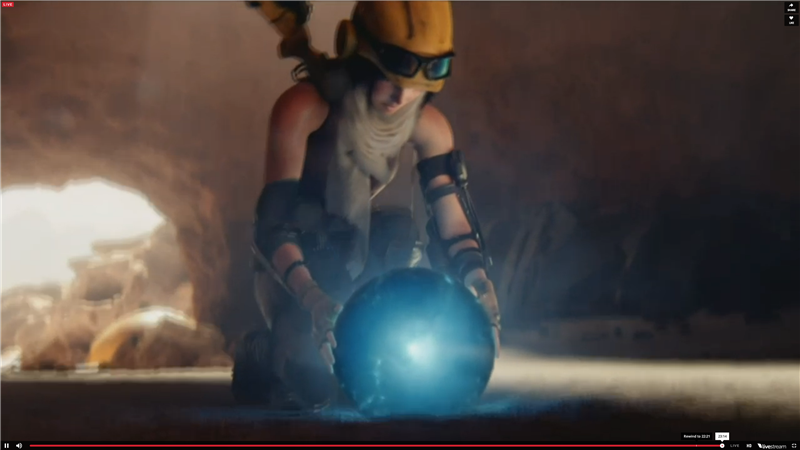 Is that the redesigned controller on screen? 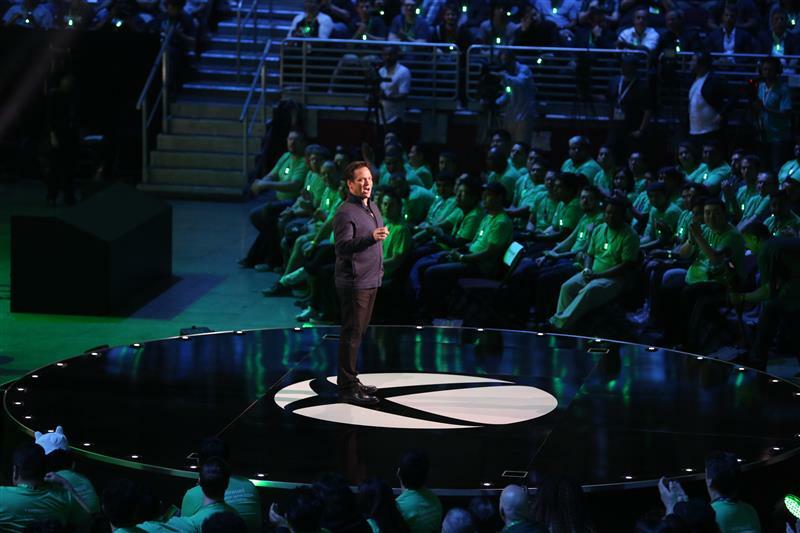 Spencer says since the launch of Xbox One, Microsoft has been listening to its community. He reminds them the company continues to deliver platform updates people ask for. 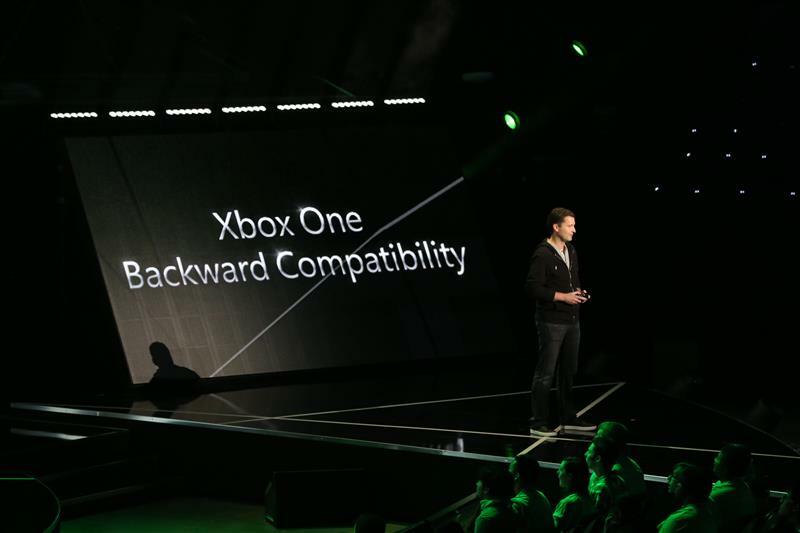 Announcing Xbox One backward compatibility to Xbox 360 games. 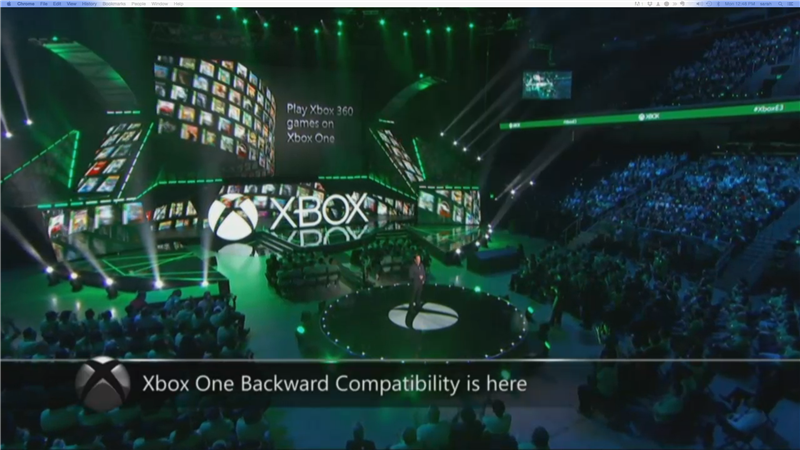 I am VERY happy that Xbox One is backward compatible with Xbox 360! Thank god. 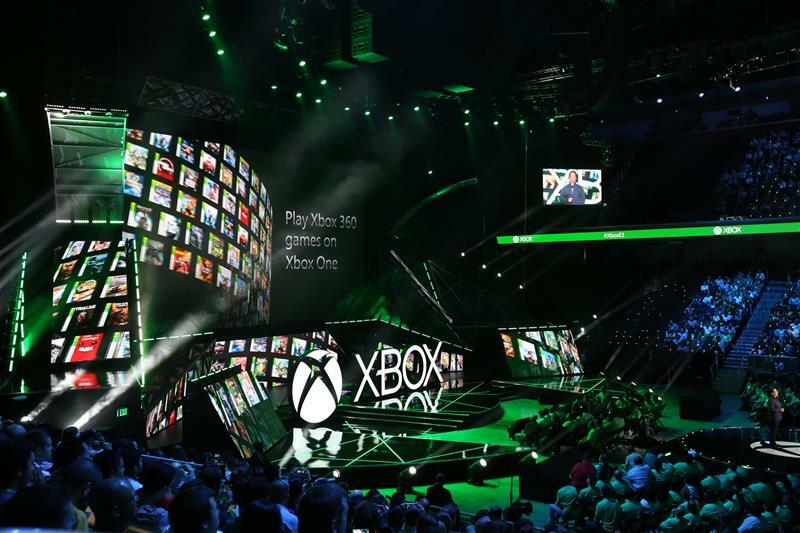 The games you invested your time and money in, and the games you want to continue playing, will be playable natively on the Xbox One. Over 100 titles are coming this holiday. More afterward. Now I have to dig up my old 360 games. Of course, looking at this old 360 game, it doesn't look as hot as I remembered. But it can hook into DVR, Windows 10 streaming, etc. 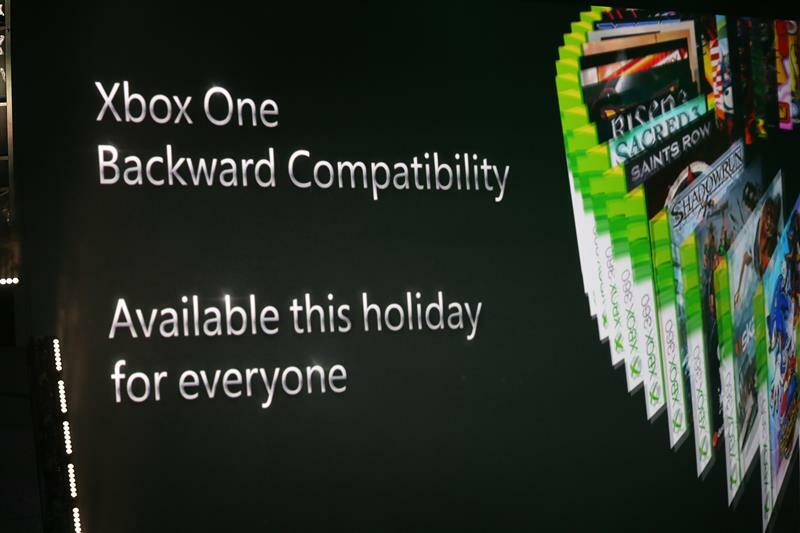 Game developers don't have to do anything other than tell Microsoft it's ok to offer their games. How does copy protection work? Can you pass the same 360 disc around to a bunch of friends and have everyone add it to their libraries? it's for elite games, according to the preview video. 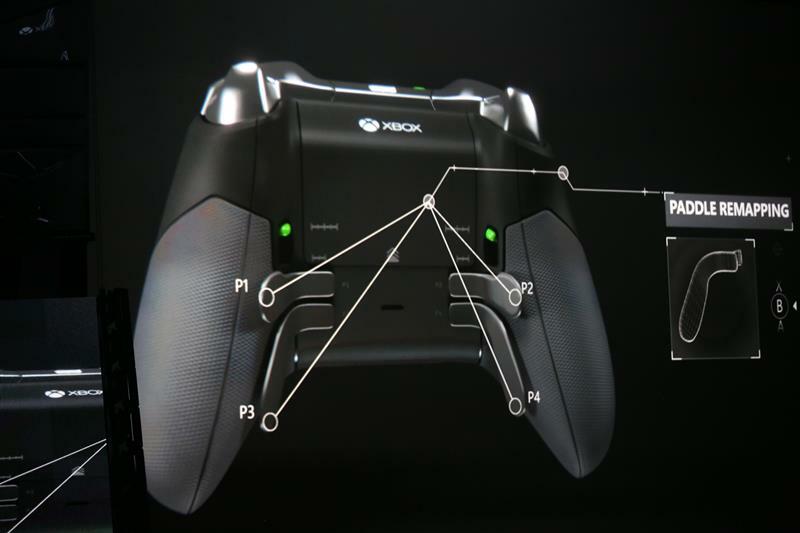 Console controller of the future -- Xbox Elite or Steam Controller? It has four extra buttons now in the back, and the buttons can be switched around. 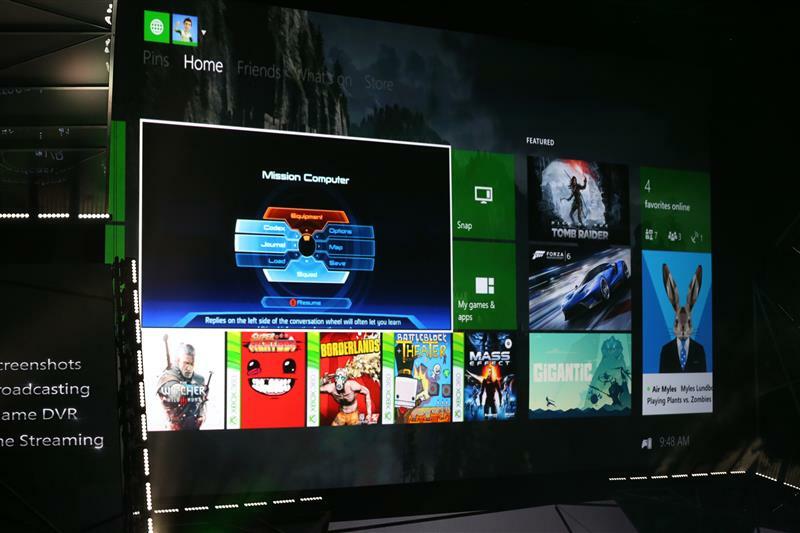 It's designed for Xbox One and Windows 10, Microsoft says.